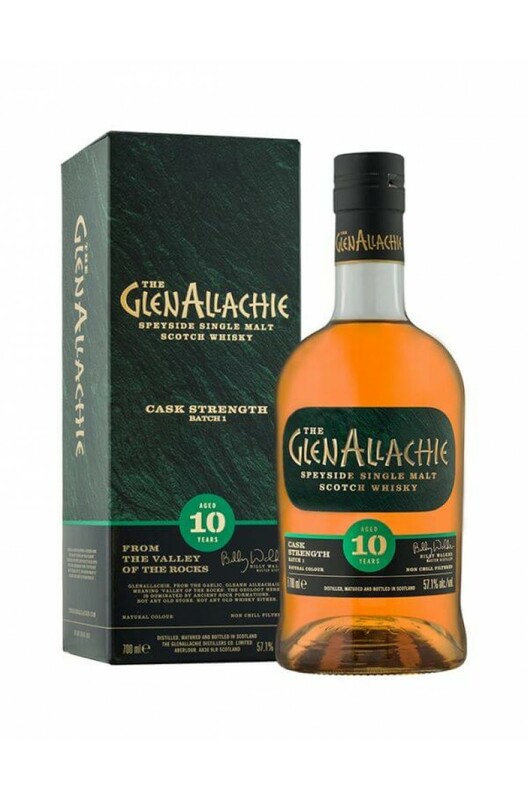 Limited to only 2000 cases worldwide, the GlenAllachie 10 Year Old Cask Strength has been aged in virgin oak, Oloroso Sherry and Pedro Ximenez casks. Aromas (without water) Big notes of heather honey and toffee, with rose hip and spices tip-toeing in. Palate (without water) Honey, vanilla, toffee with a layer of rose hip, marmalade and Caribbean spices.